Peaceful Heart Alpacas will be participating in the Draper Mercantile’s Christmas Homecoming on Saturday, December 4 from 10am to 6pm. There will be artisan demonstrations, live music performances, children’s activities and delicious food. You can shop for unique, locally made arts and crafts and meet the artists who create them. 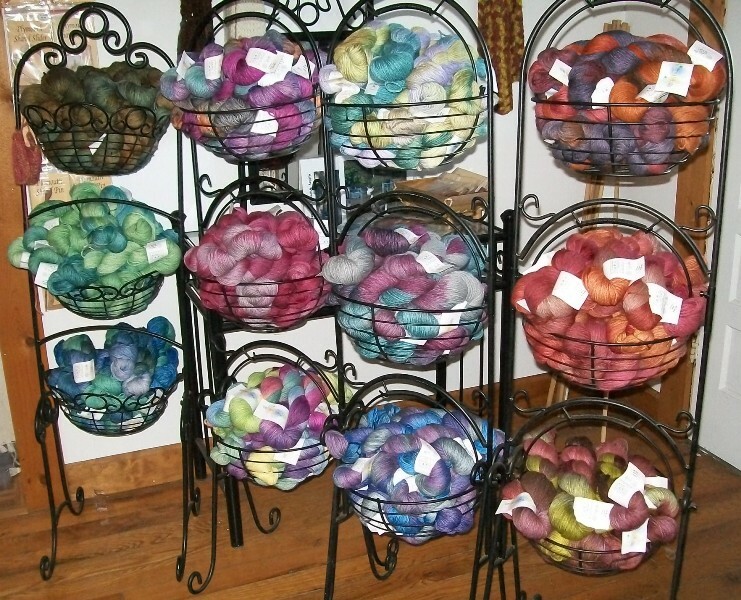 We will be demonstrating Weaving on the Triangle Loom and Knitting Looms and have items from our store for sale. Our Farm and Store will also be open this weekend our regular hours. To get to Draper Mercantile from I-81, take exit 92 (VA-658) towards Draper and turn right at Greenbriar Rd. The address is 3054 Greenbriar Rd. 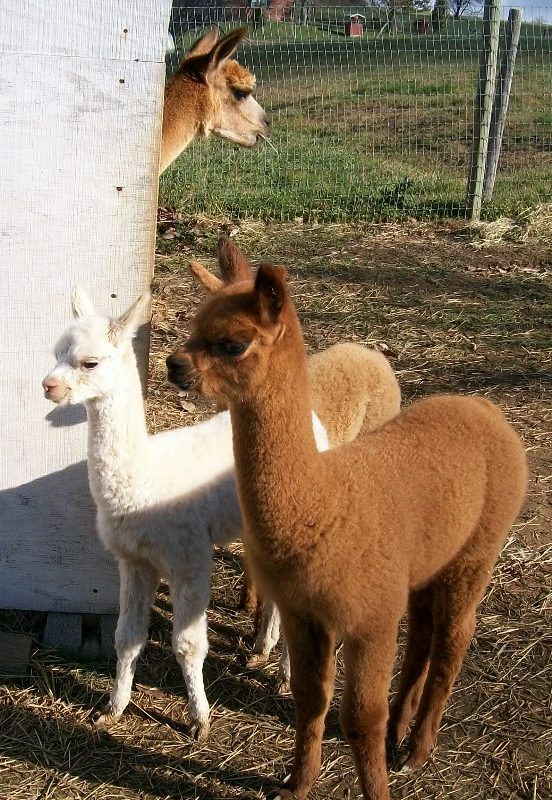 There are three types of alpaca shows. 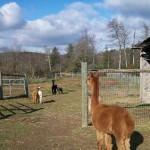 Halter shows entail leading the alpaca around a showring before a judge. 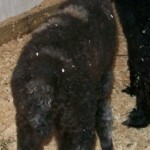 The alpacas are judged on their conformation as well as their fiber. 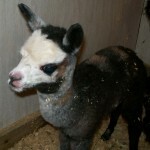 Since we raise alpacas specifically for their fiber, the fiber judging constitutes 50-60% of the score. Conformation is judged by watching the alpaca in motion as well as a hands-on inspection of the alpacas body from teeth to tail. A Fleece Show looks only at the fleece. 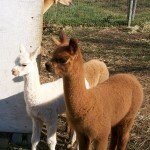 After shearing each year, we choose our ‘Show Fleeces’ that will be entered in various alpaca shows around the country. We carefully ‘skirt’ the fleece with the goal of leaving a uniform blanket where the fiber has the same length and consistency throughout. These fleeces are gently bagged and mailed or hand carried to alpaca shows around the country where they are judge solely on the quality of the fiber. A Spin-Off judges the spinability of the fiber. We pull a 2 oz section of the fleece and place it in a zip lock. This sample is inspected by a judge who then spins some of into yarn, scoring it on a number of characteristics that are important to making yarn from alpaca fiber. The sample is returned with a score card that gives us numerical and verbal feedback on each of these characteristics. 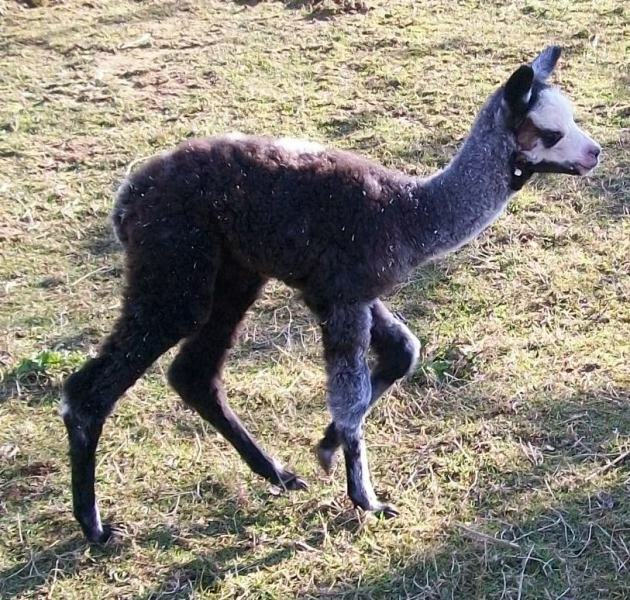 We enter alpaca shows not only for the competition of comparing our alpacas to others in the industry, but primarily for this feedback on the individual alpacas that represent our breeding program. They help us see if we are acheiving our goals. Shareen was born to our gray herdsire Gryffyn and true black beauty Shehrazad on Nov. 3. The weather was cold and wet, so she spent the first couple days in the barn. 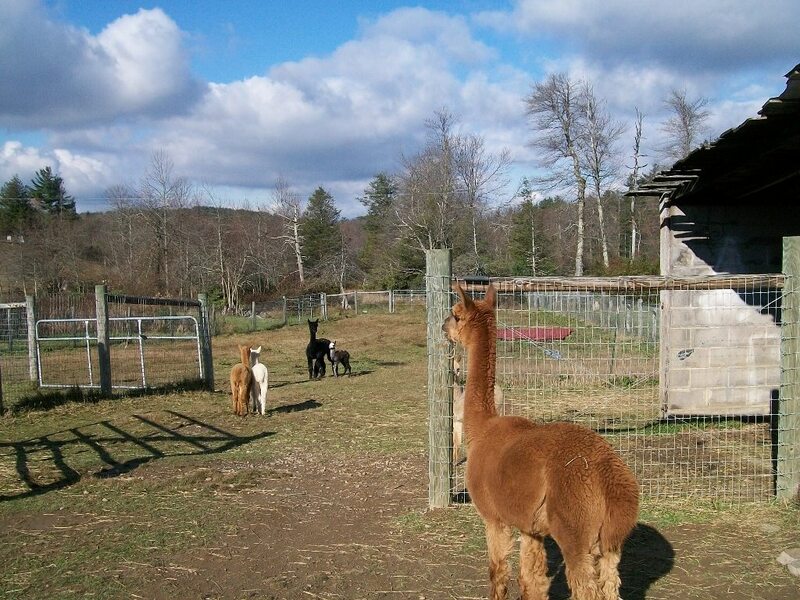 Weather permitting, Shareen will now be out with the other fall crias in the front pasture. Click on the pictures to see the full picture.